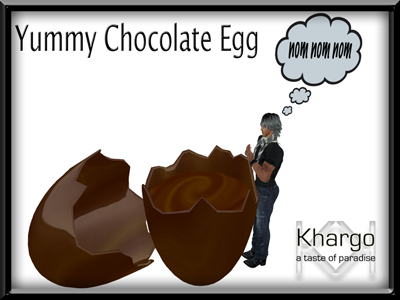 As Winter gives way to Spring, we have updated our Seasonal Store with some time limited, yummy, Easter Chocolate goodness. Dip in to our Free Gift made with the best Belgian Chocolate! Relax with your loved one in our Easter Cuddle Ball. or enjoy a Spring Fling in our Easter Cuddle Basket! 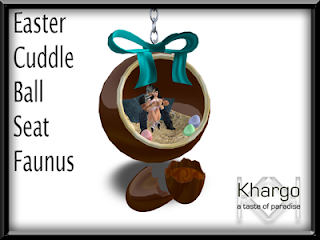 You can also find the Easter Cuddle Ball Seat Faunus and the Easter Cuddle Basket on the SL Marketplace - perfect for sending gifts! Finally, have a Hoppy Easter on our Bunny Hopper, the cutest bunny you'll see this Spring!